2017 marks the centenary of the birth of Irving Penn (1917-2009), one of the greatest photographers of the20th century. 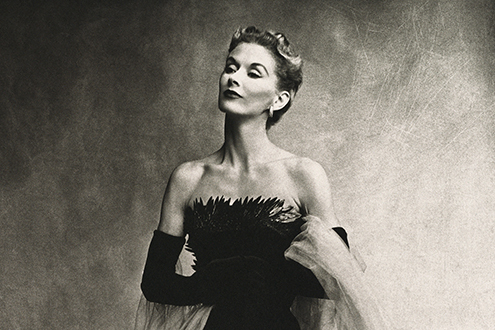 This exhibition, organized by The Metropolitan Museum of Art, New York and The Réunion des musées nationaux– Grand Palais, in collaboration with The Irving Penn Foundation,is the first major retrospective of the American artist’s work in France since his death. The Grand Palais thus sheds light on over 200 Irving Penn images, from the portraits of his muse and wife Lisa Fonssagrives, of Pablo Picasso and Marlene Dietrich, to his vibrant and sensual flowers via his beautiful nudes. It looks back over his seventy-year career, with more than 235 photographic prints, all produced by the artist himself, as well as a selection of his drawings and paintings. The Irving Penn exhibition offers a comprehensive vision of the range of genres he worked in: fashion, still life, portraits, nudes, beauty, cigarettes and debris. With the support of Imerys, Terra Foundation for Americain Art, la Fondation Louis Roederer and La Vallée Village.